CREATE NEW AND LASTING MEMORIES! 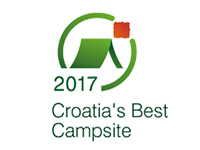 Through a combination of good service, exciting activities and attractive and spacious pitches or mobile homes with stunning sea views, Campsite Nevio provides an experience which defines the true magic of camping. Nevio is a collection of mobile homes and pitches set in 7 hectares of beautifully landscaped grounds, rising up from the sea to a heartland that affords fantastic and memorable sea views to each and every accommodation type. It is an idyllic location seemingly tailor-made for peace lovers and those who appreciate the heady mixture of beach, nature, and tranquility. Wake up, it’s a beautiful morning! Wake up and start another perfect day in one of our mobile homes or in your camper/tent situated in an idyllic seaside environment. Fall in love with the nature of the Pelješac peninsula. Choose between COMFORT and DELUX mobile homes, or a BUNGALOW. It is called a mobile home, but in fact it’s a really comfortable holiday home for the whole family. Nevio offers pitch rentals for those who travel with their own tent, motor home or caravan. Sanitary facilities are very important when we talk about camping – ours are completely renovated, modern and very spacious, fitting all of your needs and more. 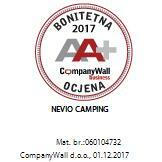 This means that you can take advantage of all the facilities of a top Nevio campsite, yet stay in the familiar surroundings of your own camping equipment or one of the rented mobile homes. Facilities include: use of a shared swimming pool, all the sport facilities, including a miniature golf course (with an extra charge), restaurant & beach bar… WIFI is free and available on the whole campground. – Reception desk is open from 8 a.m. till 8 p.m. (exception is the high season – from June to September, working hours are from 8 a.m. till 11 p.m.). 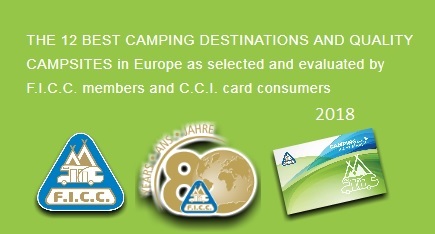 – CAMPING CARDS like ADAC, ACSI, ANWB… are accepted! – A large supermarket is only 100 m away from the campsite. 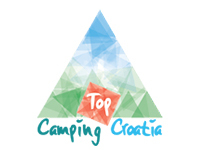 – Exchange office and souvenir shop is available at the entrance to the campsite. 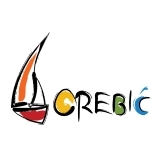 – The town of Orebić is just 2 kilometers away – very easily accessible on foot, by bicycle or car. 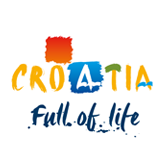 – Nevio offers a daily transfer to the island of Korcula and the center of the town of Korcula. The boat departs from the dock at the campsite. – Need a transfer from the airport? We can organize it for you! Just mention it while booking your accommodation. Discover more of the great outdoors with us!